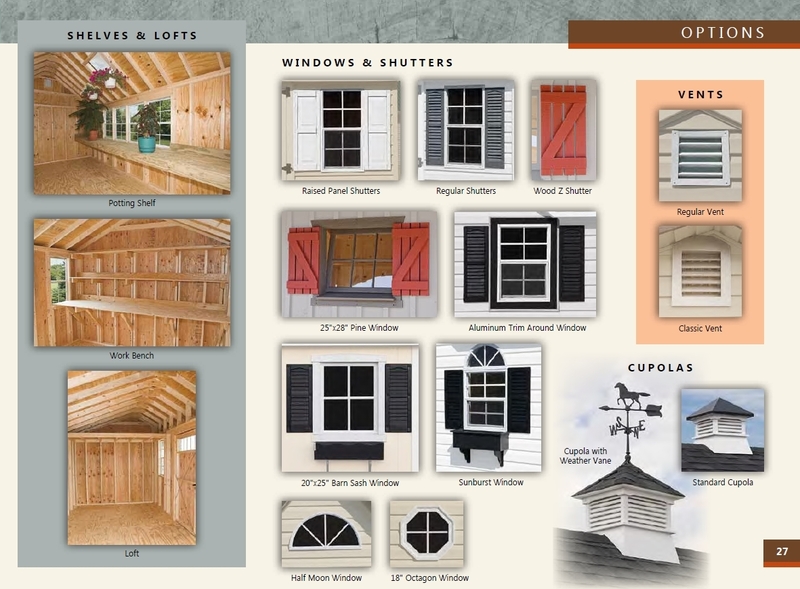 Enjoy the many benefits of class wood sheds by choosing something from our Board & Batten Series. 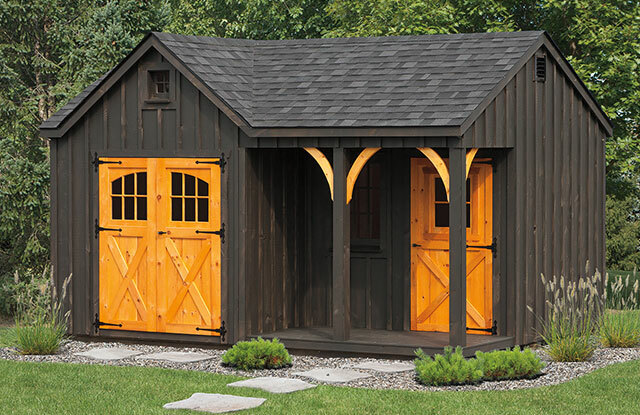 These sturdy, Amish-crafted sheds are available in designs with weathered roofs, Tru Cedar siding, carriage style doors, and arched braces. 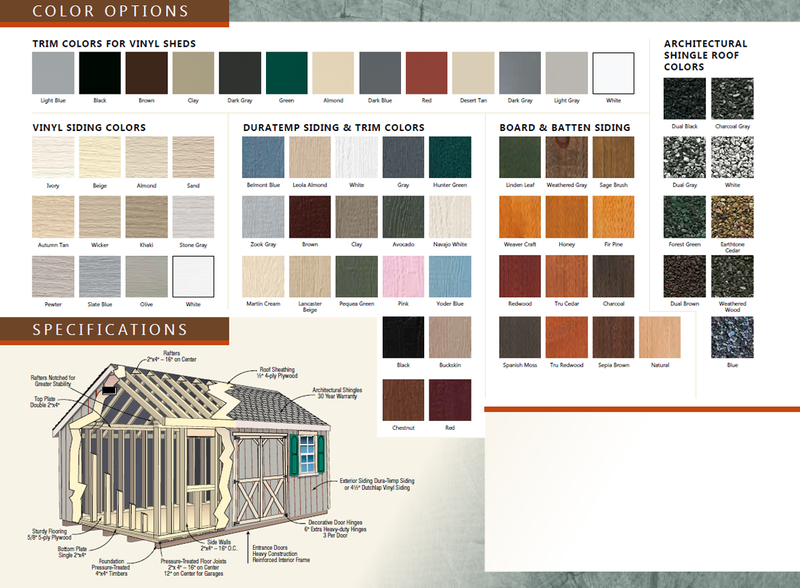 Add some extra charm to your shed by considering a burgundy or bronze roof, a stone front, or Linden leaf doors. A ramp can also be included. Prefer something more visually dramatic? 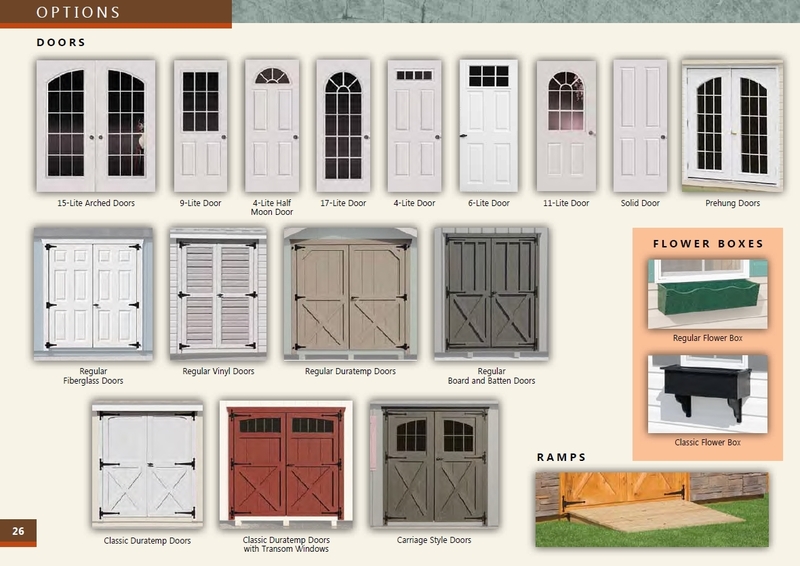 How about combining charcoal siding with pine doors? Just let our team know what you have in mind, and we’ll deliver the expected results.